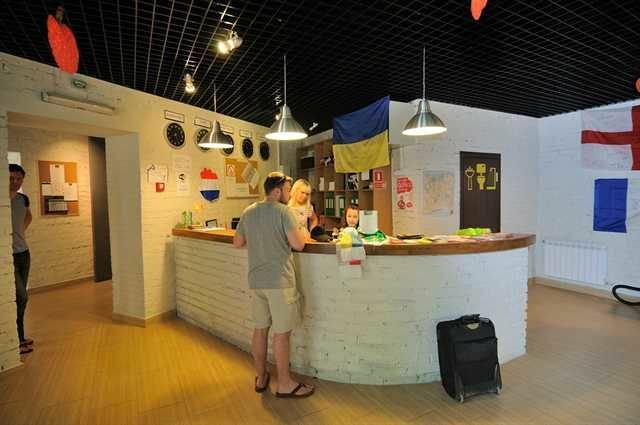 Dream House was opened in 2012 and is the biggest and most modern central hostel in Kiev with its own bar&cafe! We are located in the separate 3-storeyed building with our own spacious and quiet yard, on the most fascinating street in the city!Looking for Fun? We have created Fun Schedule, where you can find activities, excursions, pub crawls, night life tours, free walking tours etc. 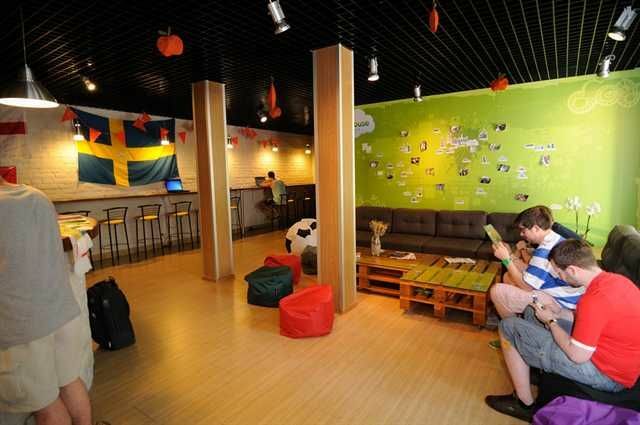 for every day in our hostel! We set free Wi-Fi connection everywhere in the hostel. 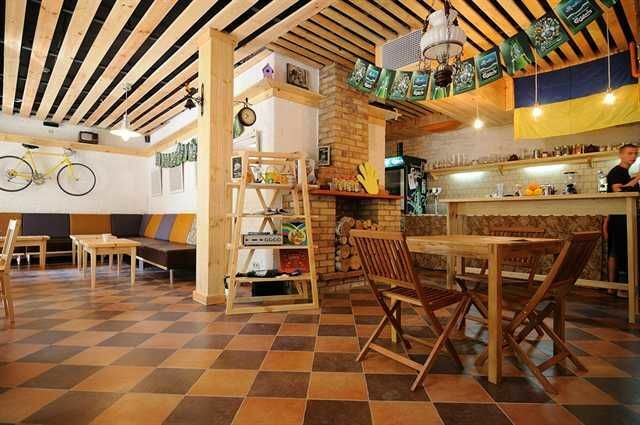 Dream House is also the only one hostel in Kiev with its own bar - DRUZI cafe. Check it out!Chernobyl Tour with us is just $145! Need to book 10 days in advance.Want to be in the center of life? We are:2 min to 24h supermarket and currency exchange, 3 min to the street full of cafes and bars,6 min to metro,0-20 min to city main attractions!Appreciate Cleanliness? So do our cleaning ladies who clean all day long to make everything shining. The biggest attention they pay to the bathrooms that are cleaned several times per day.Be our Dream Guests! From the Airport 'Borispyl':By taxi: We can arrange a taxi to come and meet you at the airport and drive you straight to the hostel in a comfortable car. The price of our taxi is 28 Euro/car. You may pay in the hostel by arrival. The driver will meet you with the board 'Dream Hostel' near arrival gates and will deliver you to the front door of our hostel.However, you can get a taxi at the airport directly at less then 20 EUR but we don't take the responsibility for the airport taxis.By public transport: The shuttle bus service takes you from the airport to the Central Train Station (Vokzalna metro station). Those buses leave every 10-15 minutes and cost 25 UAH (about 2,5 euros).From Train Station:By public transport: Take a metro! The Vokzal'na metro station is 100 meters to the left from the train station main entrance. Walk in there, buy a token per person, go down the escalator and take the right-hand train direction. Go to the Khreschatik station. Once on the Khreschatik station, change the line to the Maidan Nezalezhnosti station and take a train to Kontraktova Ploscha station. Exiting the train turn left and exit the station. You will see Kontraktova ploscha (square). Take the right side of the square and walk 300 meters passing Samson monument (a man with a lion) on the left and then ancient church on the right. Finally, you will reach our street - Andriyivskyy Uzviz (descent). Turn to the right, walk 80 meters more and you will see our sign!